Why AC & Power Steering are indispensable in India? any car without AC & PS to our prospective buyers. First is the Kwid itself, but the ‘1.0 RXT AMT’ variant, which costs 2000 Rs. or 16% more, i.e. 12,750 Rs. per month (EMI 7800 + Petrol 4950), than the ‘RXL’. But then, it simply transforms your driving experience. It just slashes away half of the fatigue out of your daily commute, by eliminating the very need for constant clutching-declutching and gear-rowing during your peak rush-hour timed daily drives. Not to forget, you get way more features like the 7-inch touch-screen and Airbag etc. with the ‘AMT’ version as well as you will fetch a better resale value when you decide to part ways with it, bringing down the effective price difference by half, if not more. 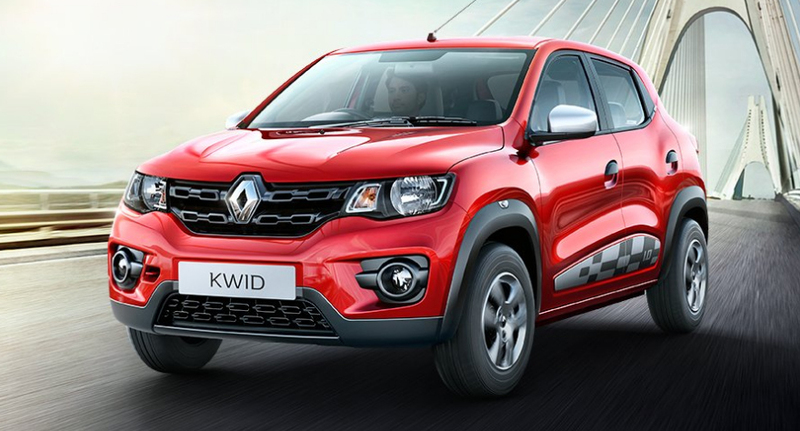 We urge you to save up for just a couple of months more and go for the Kwid ‘AMT’ instead of the ‘RXL’. Second alternative is a used Honda City (or a Verna, or an SX4). Yes, a Honda City! 2008 model year Citys in good nick, with 40,000 kilometers on the clock, can be easily found for 2.25 Lakh Rs. onwards. You may have to finance it with a Personal Loan, with a 4% higher rate of interest, resulting in an EMI of 4500 Rs. and fuel costs of 6350 Rs. totaling up to 10,850 Rs. per month. Obviously a Honda City is immensely better than a Renault Kwid in almost all aspects, be it performance, drivability, refinement, space, comfort, features, reliability and so on. Especially if your running is going to be lesser, the City will actually work out to be cheaper than the Kwid ‘RXL’, and in that case, we would definitely not recommend a used mid-size Sedan over a Kwid ‘RXL’. Third Alternative is the diesel powered Tiago ‘XE’, it is just 1000 Rs. or 9% per month more expensive per month than a Kwid ‘RXL’, since it costs 11,750 per month (EMI = 8150 + Diesel = 3600). The Tiago has better drivability, more pliant ride quality as well as better handling and is overall a marginally better automobile than the Kwid ‘RXL’ as detailed in our Tiago vs Kwid Comparison. If your usage is going to be more than 1250 kilometers per month, then the difference in monthly costs is going to be even lesser, in which case we would recommend you to go for the Tiago ‘XE’ diesel over the Kwid ‘RXL’. Overall, we recommend you to go for the Kwid 'RXL' if and only if it is absolutely unavoidable. As you go up the range in the Kwid, the difference in cost relative to the ‘AMT’ automatic version goes on reducing. The 800cc Kwid ‘RXT’ costs 11,350 Rs. per month (EMI 6600 + Petrol 4750) and its Airbag equipped variant goes up to 11,600 Rs. per month (EMI 6850 + Petrol 4750), which is just 1400 Rs. & 1150 Rs. lesser than the Kwid ‘AMT’. 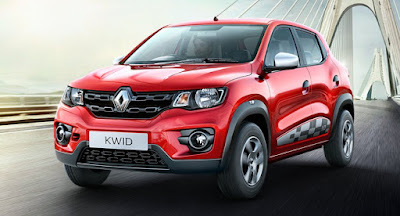 When you consider the fact that the Kwid ‘AMT’ is bound to fetch a better resale value, stronger performance and incredible convenience of the automatic gearbox, it becomes a no-brainer to reject the 0.8-litre ‘RXT/RXT O’ in favour of the ‘1.0 RXT AMT’. The Kwid ‘1.0 RXT’ costs 12,150 Rs. (EMI 7000 + Petrol 5150) and the '1.0 RXT O' costs 12,400 Rs. per month (EMI 7250 + Petrol 5150), which is just 600 Rs. & 350 Rs. per month lesser than the automatic geared Kwid ‘AMT', respectively. The Kwid AMT gives you the effortless driving experience of an automatic geared vehicle. On top of that, the ‘AMT’ version is bound to have a better resale value, making it hardly any more expensive than the manual in the long run. So there is no logical reason for us to recommend the Kwid ‘1.0 manual' over the ‘AMT’ at all. Apart from all that has been already noted in the article above, all we can say is that the Kwid 1.0 RXT AMT is without doubt the best possible alternative available in the market for the price.